Halloween is coming on next October. Halloween is identic with with, black cat, pumpkin, bat, skull, Jack O' Lantern, graveyard, etc. Maybe most people think that Halloween is ghost or evil party celebration. That's a big NO, I think you should read the history and origin of Halloween. 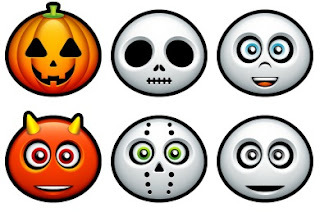 Back to Halloween, I want to share some icons related to Halloween. You can use some of icon set for your non commercial design. For commercial purpose please contact the designer. Halloween icons so very nice and more interesting blogger so that can be enjoy it in this blogger because in this blogger and know that Icons. Mostly people are very like it and enjoy it. some of icon set for your non commercial design. For commercial purpose please contact the designer. Non commercial design. For commercial purpose please contact the designer.so nice blogger shared on the site so that can be enjoy it in this blogger.